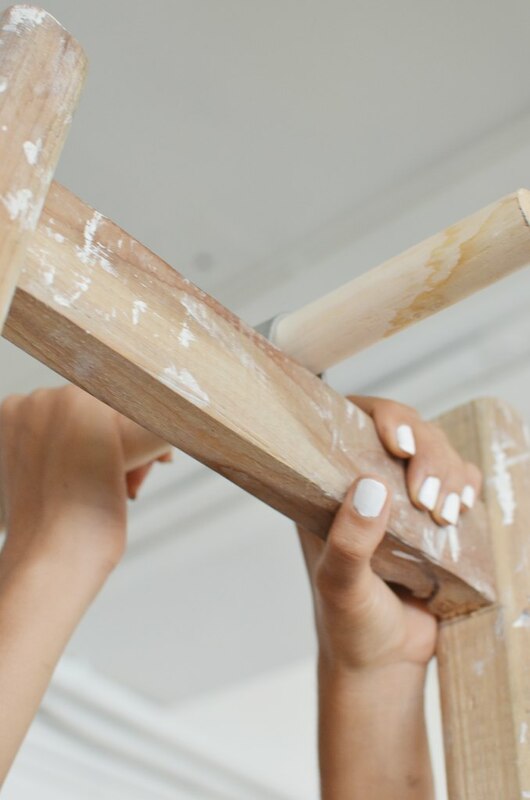 I have to say I’ve been quite enjoying learning my way around a drill since we moved into the new studio, working my way through a very very long list of DIY projects to make the space just right (can’t wait to finally show you the ‘after’ in the next few weeks!). It seems during the moving process we acquired a somewhat old and paint stained ladder which was used by the builder. After no one came to claim it (finders keepers!) 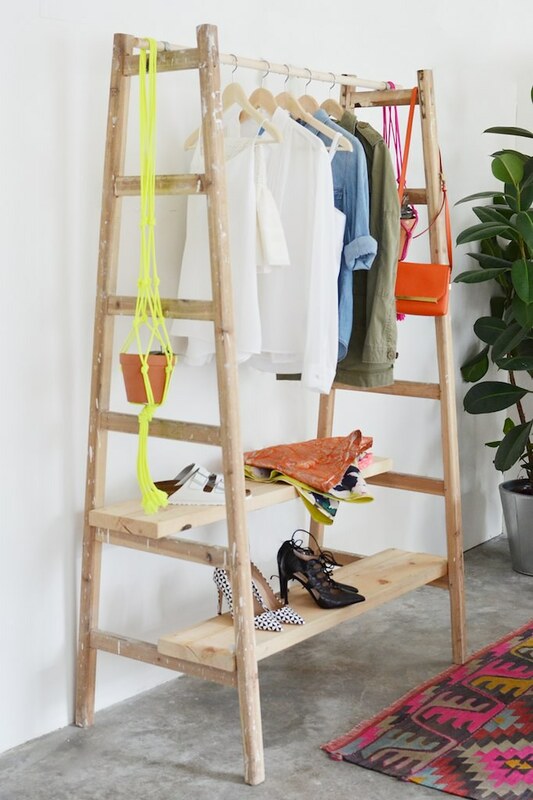 I decided that rather than have it just lying to experiment with a project I’ve had in mind for some time – a ladder wardrobe. 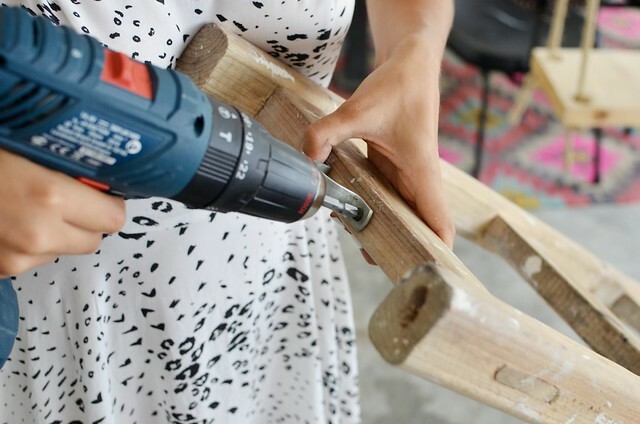 Perfect for storing work-in-progress DIY projects and pieces waited to be photographed. And did I mention it cost me all of about $9 to make? Read on to see how! 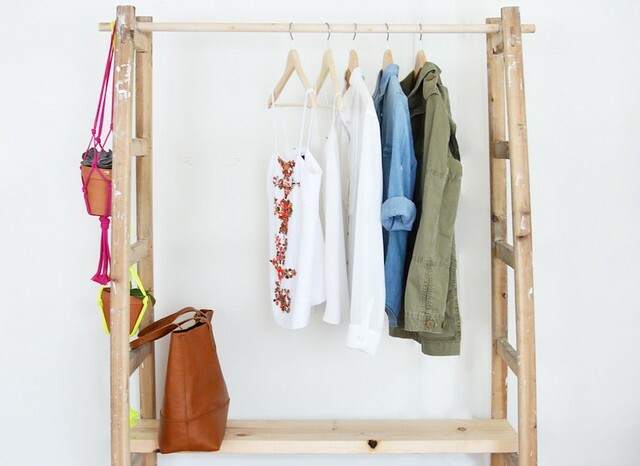 Jacket, top, jacket, shirt, bag from J Crew, Lace up heels from Mode Collective, Rug from Mister Zimi. 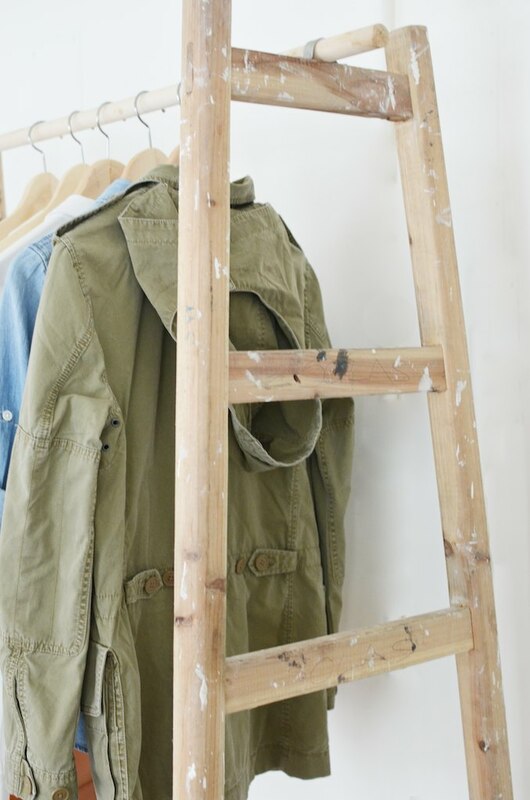 A wooden ladder – Hong Kong has these kinda vintage looking ladders in every hardware store – the older and more battered the better which is why we used the one that was left over. Two pine planks measuring 1.5m (60 inches). 1. 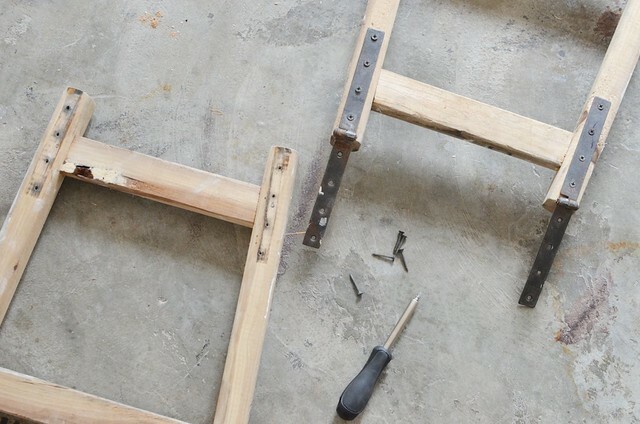 Start by using your drill to pull apart your ladder by removing the hinges on both sides. 2. Mark the middle of the top of the ladder and loosely attach your pipe brackets (make sure not to drill down completely). Do this on both sides. 3. 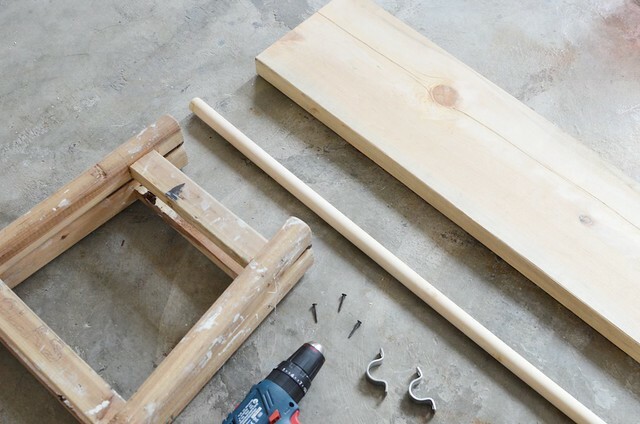 Stand your ladder up and slide the pole into the brackets and then drill the screws in your brackets down tight so that the pole doesn’t budge. 4. 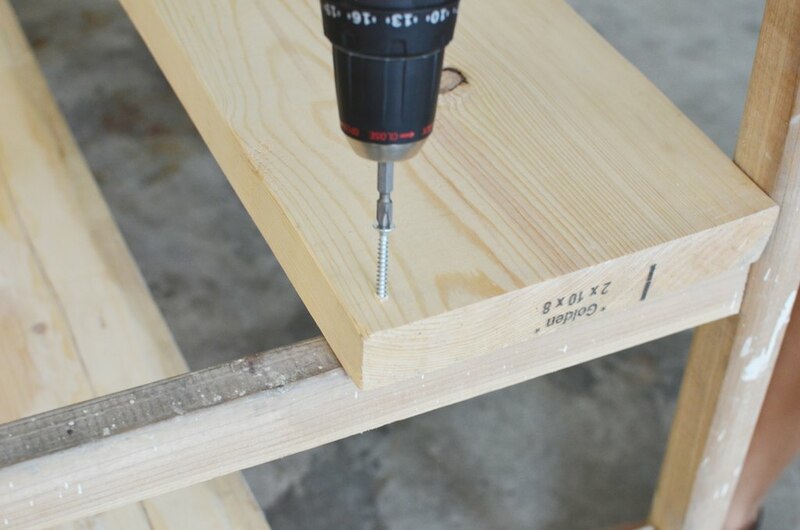 Drill the pine planks onto the steps between the separated ladder pieces. 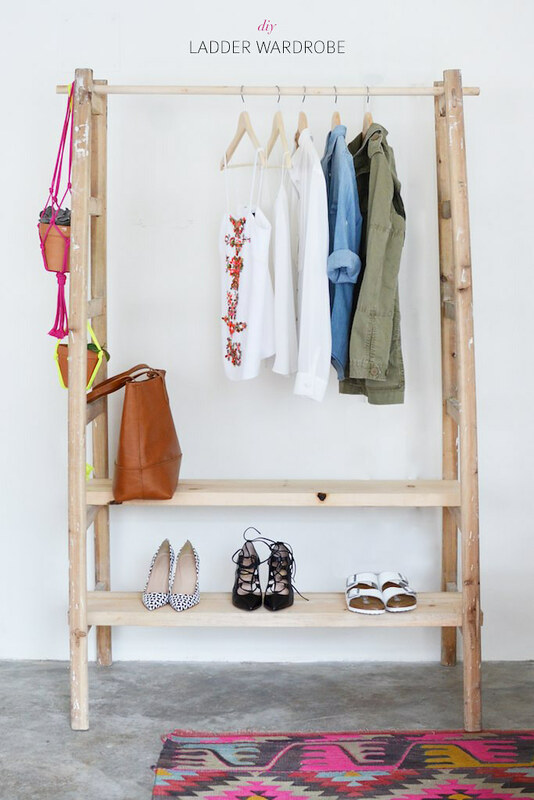 I choose to do one at the front on the lower level and one at the back on the next rung up because I wanted enough room for maxi dresses etc but also a place to store bags and shoes.